Live Action Escapes is located on the corner of Commercial Street and Exchange Street in Worcester, MA, across the street from the DCU Center. We are on the 3rd floor above Michael’s Cigar Bar, accessible by elevator. Save time by downloading and filling out our Liability Release Waiver before your game. Anyone under 18 years old not coming with their parent/legal guardian MUST print out and bring a liability release waiver signed by their parent/legal guardian. Reserving your spots ahead of time is highly recommended. We try our best to accommodate walk-ins however we aren’t always able to do so. Do I have to fill out a waiver form? Yes. You will be asked to fill out an electronic waiver upon arrival. How much do your escape rooms cost? The cost is $27.00 per person. When should I show up to play? You should arrive 15-20 minutes before your games start time to sign in and receive the game instructions. Late comers may join a game in progress only if they know all of the other players in the game. If you arrive more than 10 minutes after the games start time, you will be turned away without a refund. NOTE: If you show up under the influence of any altering substance, the game master can turn you away without a refund. We will not be responsible for putting you, other players, or our team at risk in any way. Who can play? What is your Youth Policy? Our games listed as ‘Easy’ and ‘Moderate’ are designed for ages 8 and up. Games listed as ‘Challenging’ are recommended for ages 10 and up. If you would like to bring a child younger than 8 (or 10), you MUST book a private game. If you arrive with a child younger than 8 and have not booked a private game, you may not be allowed to enter the game. No refunds will be issued. Anyone under the age of 18 MUST be accompanied by a paying adult. Will I have to solve the escape room with strangers? You might! If your group doesn’t fill all of the spots in the game, another group may join you. If that’s not your type of thing, you can book a private game and play with only people you know by purchasing all of the tickets in your time slot or by selecting the “Private event:…Book entire game” option when making your reservation. Yes and no. All games that have a locked door also have a second unlocked door in case of an emergency. Who designs the rooms? Are they scary? All of the rooms, puzzles, and story lines at Live Action Escapes are designed and built by our in-house design team, led by the owner. Our rooms offer unique experiences that you won’t find at escape rooms in other locations. The games are designed to be mysterious and sometimes creepy, but there is nothing dangerous or scary unless otherwise noted. There is on street metered parking, parking lots and garages all within walking distance of our building. NOTE: If you show up under the influence of any mind-altering substance, the game master can turn you away without a refund. We will not be responsible for putting you, other players, or our team at risk in any way. Picture the scene: You and your teammates have just walked onto one of our immersive sets. As you look around, the items and decorations begin to tell a story. But this is not just a story, this is an escape room. The door locks as it closes behind you. Now it’s up to you to solve the mystery and work together with your team to escape before time runs out! Can you make it, or will you be defeated by the clever Puzzlemaster? 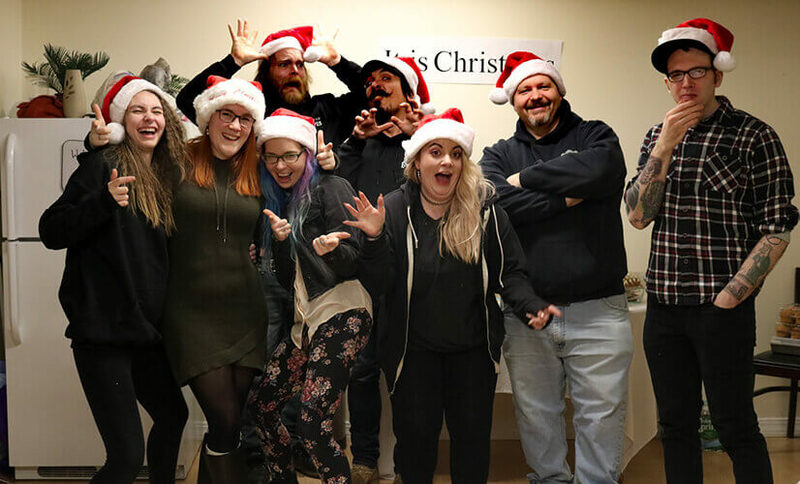 For fans of “Escape The Room” and “Search The Room” style escape games, Live Action Escapes is Worcester’s best destination for group and family outings, team-building and corporate functions.